Mom and I visited this restaurant when it first opened, but unfortunately we were disappointed. Our clam cakes arrived so burnt and disgusting that we had to send them back and have them taken off the bill – and stuff like that never happens to us. We steered clear of Atlantic until we heard that there had been a complete overhaul of the restaurant. After reading rave reviews of the food online, we decided to give this place another shot. There are only a few booths (and one table) in the small dining room, but there is a larger dining area located just past the bar with larger tables for big parties. We sat in the same booth as we did the last time, hoping to erase the memory of the bad clam cakes with something delicious. The waitress (there were a few of them at first) brought us menus and a list of specials to look through. We both chose Diet Pepsi ($2 each) for our beverage. Mom and I had a hard time deciding what to order because there was so much that we wanted to try. 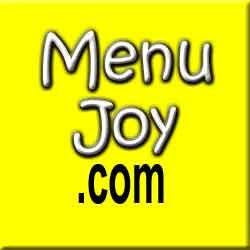 (Click here to view the menu.) I ended up going with the Signature Butterscotch Glazed Chicken ($12.99) with my choice of two sides – a Caesar salad ($1.99) and sweet potato fries ($.99). Mom ordered the Steak ala Mama ($14.99) with round fries and a Caesar salad ($1.99). Our waitress Dawn brought over a basket of two warmed, sliced Portuguese rolls (papo secos) with butter. It was a great way to start off the meal. Now there is an appetizer that everyone goes crazy for at the Atlantic Sports Bar. It’s called the Mozambique Cheesy Fries Tower ($8.99). It is a large tower of fries tossed in Mozambique sauce and topped with chourico bits and melted cheese. Since Mom and I were getting entrees – and since we didn’t want to get something that we wouldn’t be able to finish – we opted out. However, we do want to get this at some point. We did see it going by to another table and it looked incredible. Our Caesar salads came out first in chilled bowls which we both loved. The salad was extremely fresh and tossed in tasty dressing. I had just finished my salad when our entrees arrived. Served on large rectangular platters, they were both beautifully presented. Mom’s steak (she ordered it medium well) was a grilled, hand-cut sirloin topped with herb and garlic hotel butter. Her round fries were crisp yet the potato inside was soft. The steak was cooked perfectly and had a nice char on the outside. The seasoning was great and the hotel butter made it even more flavorful. The portion was a good size and Mom – who never orders steak – enjoyed her meal. My butterscotch chicken was delicious, but the portion size was a little on the small side. The sauce was fantastic and the chicken came topped with bell peppers and mushrooms. Although the veggies were delicious (especially in the scotch sauce), I felt that there were more veggies than chicken. It was so good that I wished there was more. My sweet potato fries were excellent. They had a lot of flavor and they were really crisp on the outside. Perhaps they were twice fried? I gave Mom a piece of the chicken and she loved it, but she agreed about the portion. We decided to order dessert, so Mom chose the tiramisu square ($3.99) and I went with the molten lava cake with ice cream ($5.99 on the menu, but they charged us $4.99). They both came out on square plates with chocolate sauce drizzled across. Mom really liked her tiramisu and she said that it was creamy and the espresso taste was not overpowering. It arrived nicely chilled and was a perfect size. My molten lava cake was a lot of fun. I love breaking apart the hot cake and watching the chocolate inside ooze all over the plate. The cake was soft and fudgy and the ice cream was cool and refreshing. The cake did have a stale taste on one side (the side with the most fudge), but that could have had something to do with the cooking process. Maybe the molten chocolate was too close to the edge. Our total came to $49.61. Everything was great and the service was fast and friendly. We’re so glad we came back. A good chef makes all the difference! I have my eyes on you, Mozambique Cheesy Fries Tower.